SPLENDID old pears in flower between Tooborac and Pastoria towards Victoria’s Central Highlands. These wonderful trees seem to be found where gold was sought and yield fruit for cider — known in England as perry and France as poiré. Their slender trunks belie great age: what is thought to be the oldest tree in our garden above Three Mile Creek south of Beechworth tops six metres in height, with a similar spread. Yet it has a fine trunk and is perhaps 150 years old. It is captivating in flower. These pears, with their fruit inedible when fresh, are believed to descend from wild hybrids of the cultivated Pyrus communis sub-species communis and rare wild P. communis subsp. pyraster. The Royal Horticultural Society’s The Fruit Year Book 1958 devotes an entire chapter to perry history and cultivation. More of them should be grown for their extraordinary spring beauty. Plums fruit on an old tree near where a farm cottage once stood in Bartsh Road, south of Beechworth, not far from the Blume farm . THIS is the story of a secret garden. 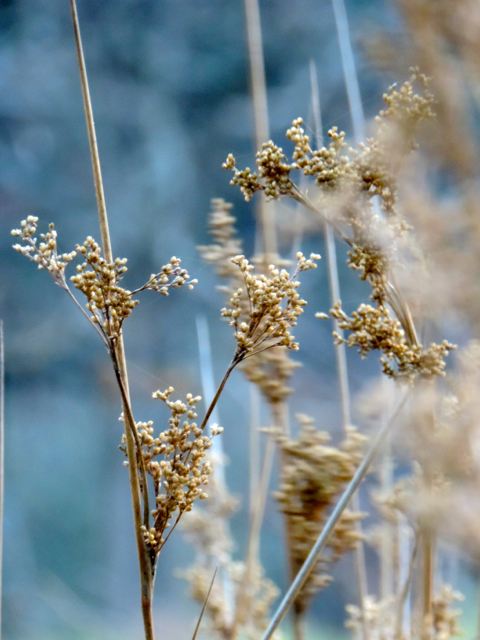 It is centred on a tree – one genealogical and one growing – a story of the shared branches of our lives. Frederick Blume was born the son of farmers Christian and Catherine Blume in Leimberg in Hanover in 1842 and was 19 when he left Germany with a friend with the hope of making Australia. According to Beechworth historian and author Joan Hilderbrand, in Liverpool the two young men stowed away on a ship from which they disembarked in Melbourne in 1862. After mining for a time in New Zealand, Frederick returned to Australia and came to the Woolshed Valley near Beechworth. He married in 1872 Mary Louisa Cox in Beechworth’s Anglican Christ Church, which is as you see it today, with its Early English Gothic-influenced square stone tower. Kelly historians Matt Shore (right) and Darren Sutton near the place where Aaron Sherritt was murdered in the Woolshed Valley by Joe Byrne and Dan Kelly in June 1880 [June 2015]. The Blumes were living in the Woolshed Valley on the night of June 26, 1880, when bushrangers Joe Byrne and Dan Kelly shot their neighbour, Aaron Sherritt – an alleged police informant – to death. It is said that Frederick and Louisa saw both assailants before they rode off early the next morning. Byrne and Kelly went on to Glenrowan and the infamous siege that claimed their own lives and which led to the capture, committal in Beechworth, trial in Melbourne and execution in November 1880 of Ned Kelly, outlaw. Blume farm cottage, believed to have been built by Chinese miners in the 1860s, and its separate kitchen in the garden . Later that year or early in 1881 Frederick and Louisa and their three children moved to the Three Mile, south of Beechworth – just across the dip in the hills about half a kilometre from where we live, and into a small corrugated iron and weatherboard cottage said to have been built by Chinese miners perhaps late in the 1850s or early 1860s. It is believed to be contemporaneous with the old heart of our house built for the American-born Ring brothers, miners, at about the same time. It was after the move to the Three Mile that another 10 children were born to Frederick and Louisa. With their mother, the four whose lives remained intertwined with the story of our house and garden were Francis or Frank, born in 1882, Florence, in 1885, Alvina – known as ‘Topsy’ – in 1895, and George, in 1898. The Blume farm – on which Topsy for probably eight decades of her long life husbanded and milked a small herd of Jersey cows and tended her much loved garden – is rare, if not unique, in the North East and perhaps Victoria. Thanks to the Bartsh family, our neighbours, who bought the property from Topsy in 1971 while agreeing to her life-tenancy, it remains preserved as it was 150 years ago – intact, secure and protected. Florence Blume, Lisa (Mielitz) Peter and Alvina Blume in the garden at Weir Lane [c. 1950]. Image: Gitte Curnow. Topsy, it seems, had the farming gene – an innate knowledge of farming ways, something heritable through generations of people of farming stock. With her sister Florence – known as ‘Cookie’ because of her exceptional baking skills – Topsy lived in their parents’ cottage, with its kitchen in a building separate from the cottage living and bedrooms, for their entire lives. Gitte Mielitz in the garden at Weir Lane [c. 1950]. Image: Gitte Curnow. Gitte Mielitz, who came to know and love the Blume sisters after she arrived as a six-year-old with her mother and stepfather to Beechworth as a post-war immigrant from Germany in 1949, and lived in what is now our house – which the Blume family owned and let to them – remembers that they slept together in their parents’ double bed. It’s almost certain that there was neither plenty nor waste. There was neither running water nor electricity. There was simply the steady, continuous cycle of their shared lives: Florence, cook and housekeeper, and Topsy, gardener and farmer. A window at Blume cottage . 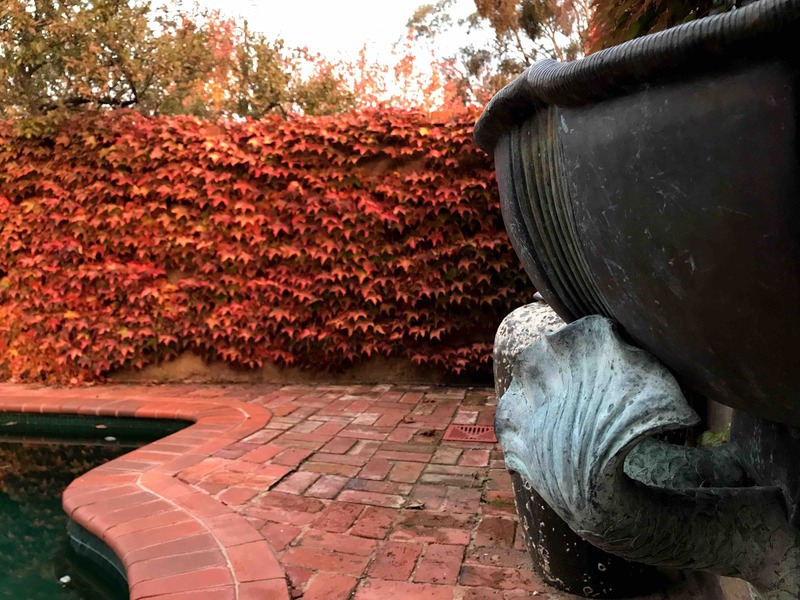 Chris Hornsey wrote in the Border Mail 35 years ago – ‘Just as the cottage, with its antique furniture, sepia photographs and other assorted memorabilia echoes the lifestyle of a bygone era, so does the garden. It is filled with flowers and trees which seem to blend with the atmosphere. Miss (Topsy) Blume treasures the money plants, camellias, the scented verbena and the balm.” These same plants grow their still, just as they do in our garden, across the dip, at Weir Lane. The Blume garden was watered throughout the sisters’ lives with water from the well. It remains today under a corrugated iron roof held up with bush timber, and drops away beneath a well-housing, featuring double doors, that covers the windlass. “It’s not an easy job,” Tospy told the Border Mail, “particularly in the summer months when the level of water drops considerably.” The heavy iron bucket is lowered into the water and, when filled, wound up again by hand. “It’s down to 17 turns at the moment and it will get down to 22,” she said. In the summer of 1981 she was drawing water three times a day, as she went on to tell the journalist, “because I have to water the flowers”. She recalled that at one time she drew up a live snake in the bucket. “You have to get them out,” she said, “or they rot in the water (and taint it)”. It was through another well by which the lives of Florence, Topsy, Frank and George Blume and their mother Louisa became tragically enmeshed with that of their neighbour, Margaret Ryan, and her disabled daughter, Violet, in 1931. Weir Lane cottage, thought have been built about 1860, with Lisa (Mieltiz) Peter on the verandah [c. 1950]. Image: Gitte Curnow. Margaret Ryan inherited in the old cottage that forms the southern front of the house where Peter and I live – and its two hectares of hills sharing a boundary with the old Blume farm – in 1918. In August 1931, in the midst of what was said to be the worst winter since Europeans settled in the North East – in which one woman wrote that there had been not half a dozen fine days between April and September, and bitterly cold – Margaret lived at Weir Lane with her daughter Violet. She was 59. Violet was 32 and needed all of her mother’s care – being, it was later described, of “weak intellect”. Frosted grass at Weir Lane . Joan Hilderbrand records that it had been Margaret’s habit to send her shopping list over to the Blumes and for them to buy her household groceries and bring them from Beechworth back to the farm. Louisa Blume had been ironing when Margaret’s envelope arrived and put on the mantelpiece. It was only when her daughter Florence went to town and opened it that she found that it was not a list. Would you mind keeping Violet with you until someone takes her as I am going to end my life. My body will be found in the well. Would you mind sending for Jack (her son) and tell Mr Kelly to come with him. I can’t stand the worry any longer. My head is very queer. Don’t let her (Violet) come home by herself at any time – poor girl, God help her. I hope they will be good to her who takes her. I am sending one pound. Jack will give you more if she (Violet) is with you longer than a week. Florrie can take the cow up there (to you, the Blumes) to milk until they can see what they will do with her. Ask Frank (Blume) to send for the police, as they can’t touch me until they come. My dear son and all my dear children, it is with a sad heart I am writing these few lines to you. I hope God will forgive me for taking my life in such a manner – also all of you, my dears. But I have a feeling something dreadful is going to happen to me and I think this is the best way out of all my troubles…. Poor Vi, I wish I could take her with me but that can’t be. God help you all – and forgive me for what I have done. Violet died in Sydney’s Parramatta Psychiatric Centre in December 1966. She was 67. Violets grow in profusion in the garden at Weir Lane . This lovely but unidentified pink-lilac rose grows near the well where Margaret Ryan lost her life . Weir Lane was sold by Jack Ryan to Frank Blume within a few months of his mother’s death and in 1938, on Frank’s death, it was inherited by his sister Topsy. It was into the lives of this hard-working woman and her housekeeping sister, Florence, that the young German-born Gitte Mieltiz came in 1949 as someone akin to a grand-daughter. Gitte Mielitz on the back gate in the garden at Weir Lane [c.1950]. The tree branches at left at are of a mulberry that continues to prosper and fruit to this day. At right is a large cherry laurel Prunus laurocerasus which also remains. Image: Gitte Curnow. Me on the back gate – presumably your back boundary too. The bare branches (photo taken in winter) at the top left hand of the photo was a mulberry tree. The house viewed from the back is behind me… One can see the original section of the house at chimney furtherest away… The dark skinny long triangle on the left of the photo looks like the kitchen roof. The back of the house had a covered breezeway between the house proper and the kitchen, as can be seen behind me – although I don’t remember it. The Weir Lane mulberry tree with Acer palmatum behind it . Electricity blackouts in 1981 posed no problem for Alvina ‘Topsy’ Blume, 85, near Beechworth. Miss Blume has her kerosene lamp for illumination. [Published July 6, 1981. Photo: Peter Mayoh, ‘Reflections 150 Years of The Age‘]. Tops was a hard worker. Didn’t go out shooting or mending fences, but did all the dairy work (separating), feeding the poddy calves, pigs, hens, and some housework, and lots of crocheting of an evening. I don’t think she knew how to relax. She worked for a while as a young woman in Castlemaine, but some time after her sweetheart died in the Great War 1914-18 she returned to (Three Mile). The milking was done by George and Tops – maximum 24 cows – and when the going got tough, Granny (Florence) also milked a few. They taught me how to milk cows and I could manage 2-3 maximum of the easy milkers before my fingers wore out. Granny cooked the food and had a somewhat easier lifestyle. Tops occasionally took me on afternoon walks across the paddocks, or to…visit one or two neighbours for afternoon tea. Granny wasn’t up to walking any distance, or across paddocks. Gitte (Mielitz) Curnow at the Blume cottage [July 2014]. Gitte also recalls feeding the Blumes’ pigs, poddy calves and chooks, and collecting the mail and newspapers from a kilometre-distant farmhouse – the Baarmutha district post office. But there is one recollection of Gitte’s which, in its way, becomes a thread through all of our diverse lives – from Frederick and Louisa Blume, their children, through their neighbour Margaret Ryan, who owned our house and garden, to Gita who lived there as a small girl in what was to her a strange land, to Peter and me who now live at Weir Lane, and to each of you who has done Beechworth a great privilege by coming here with your keen interest in our shared heritage and our gardens, and listening to this story. Cattle grazing in the paddock surrounding Blume cottage with its oak and cypress towering in the garden [May 2016]. Gitte’s abiding memory is of lying in the sun in autumn, or in the shade in summer, on one of the great, spreading lower branches of an old cypress in the Blume garden, and reading books. That tree – together with an old oak, agapanthus, numerous bulbs, camellia, verbena and lemon balm, grow there still. Boston ivy turns the season on Blume cottage roof [May 2016]. If the Bartsh family were prepared to consider it, the Blume farm, its agricultural heritage and its buildings and garden would be worthy of the national estate. One day, I hope, we might all see it. This presentation was made to the Australian Garden History Society Victorian branch autumn 2016 tour – Autumn leaves and private gardens – by the author at Beechworth’s George Kerferd Hotel on April 30, 2016. Images: Jamie Kronborg [unless otherwise attributed]. See all six gardens for $20 (payable at any participating garden) – with the Beechworth gardens donating all proceeds to Oxfam. The Stanley gardens are donating all proceeds to the Stanley community-managed post office and heritage-listed athenæum. PLANTING began in this garden in October 2009. The design philosophy is one of grids and strong lines following the house design. I wanted to keep the plant palate to a handful of species. I feel that the garden respects space amongst the plantings. Buxus sempervirens balls that I’ve had in authentic French Anduze pots for more than 14 years also have influenced the design with balls of box flowing through the garden. This year is the process of introducing colour with iris, tulip and geranium high on the list. The views into Beechworth and rural landscape beyond are also important. The house was built in a factory in six weeks and trucked to the site. It has been a joy to live in: facing north, it is highly energy efficient and loads of natural light change how you live. Directions: 1.3km south of Beechworth post office, off Buckland (Myrtleford) Road. I CAME to the garden 12 years ago. It consisted of lovely old Hills’ red gum woodland and a sloping empty paddock with good views, about 1.6 hectares in all. I started by trying – and hopefully succeeding – to disprove that ‘You can’t grow things under gum trees’. There are rhododendron, camellia, azalea, maple and many semi-shade perennials thriving beneath the eucalypt canopy. Up across the hill the aim was to have many different trees in a parkland-style setting. I planted oaks, cedars, elms and a number of rare trees – Emmenopterys henryi is young but doing well. Favourites are two giant redwoods – Sequoiadendron – one of which the nursery didn’t want to sell because the top had been snapped off. Old romantic, I felt sorry for it and gave it a home. Within three years it had completely rebuilt itself and is taller than its nearby sibling. With the trees underway, I then started delving among the rocky hillside for deeper soil areas and panted many shrubs and perennials that had been my life in my previous quarter-acre block in Sydney (Wahroonga). In recent years I am moving away a little from having an endless collection of unusual plants to seeing the landscaping delight of having massed plantings and, for example, jolly Kniphofia ‘Winter Cheer’ pokers singing out from all unlikely corners of the hill. Directions: In Beechworth, off Wangaratta Road (C315) west of Newtown bridge and Malakoff Road. A GARDEN has been cultivated here since the early 1860s. Shrubs of old, simple-petal sweetbriar roses still flower in a row a short distance from where stands our much extended house – at heart a miner’s cottage. These old arching canes mark the edge of a track that miners, horses, carts and cattle began to make about 150 years ago. Three Mile Creek, just below the garden, was a major gold find and worked until the late 1920s. The garden – within a hill paddock that features spectacular but senescent Eucalyptus nicholii and E. microcarpa – has been richly planted over one hectare by earlier stewards. It includes numerous camellia, viburnum – including a six-metre-tall V. macrocephalum – an old perry pear, manchurian pear alley, weeping cherry, amelanchier, birch, arbutus, clematis, black sea laurel and diverse bulbs. We have this year planted a new orchard of apples, stonefruit, cherries and berries. Directions: 4km south of Beechworth off Buckland (Myrtleford) Road (C524) and Library Road. This garden was one of the first in the-then Victoria Gardens’ Scheme in 1988-89. It has not been open for 25 years. SET on a little more than two hectares in Stanley, Planetrees’ garden has been created in six years on depleted land that was a timber milling site for a century. The garden is now an oasis of more than 350 established trees, including olive, birch, oak and dogwood, large perennial gardens, a fruit orchard, large vegetable garden and a natural swimming pool. This ambitious project is the result of a master plan that has guided the creation of this serene and romantic setting for a Tuscan-style residence and a timber and earth lodge that now operates as a guest-house and green retreat. Overall the style of the garden is French. It is structured as a series of rooms connected by long hedged walks stepping down the site. Sculptures, fountains, pergolas and other features encourage exploration. 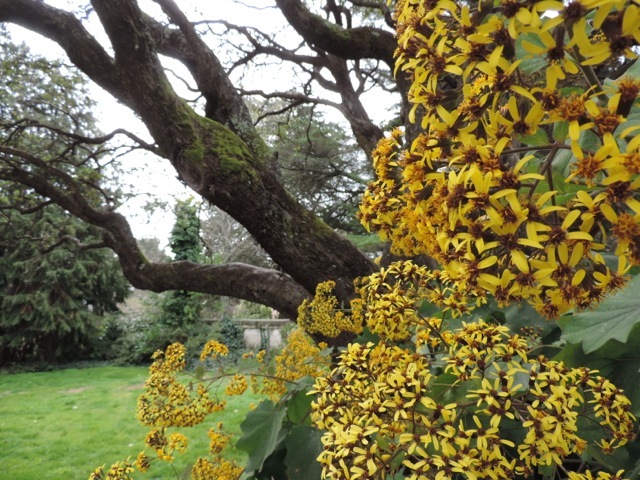 Plantings are rich and varied – planned to provide an exotic sequence of character and colour throughout the seasons. The natural pool is a park in itself with lilies, frogs and dragonflies. Directions: In Stanley, 9km south-east of Beechworth on Beechworth-Stanley Road (C525). SLOPING down to Nine Mile Creek, this is an extensive cool climate woodland garden centered on four massive hazelnut trees and an original miner’s cottage from the 1850s. A formal kitchen garden of herbs and vegetables greets the visitor on entry and beyond the cottage and hothouse is an orchard with a berry and small fruit and vegetable garden. Deciduous trees are a strong feature of the garden, under-planted with shrubs, bulbs and plants for dry shade. There are seats and artist-designed and -made sculptures to be found in different areas of the garden. Beyond the gate you can explore the creek, with plantings of local and exotic trees, and walk the labyrinth. Directions: In Stanley, 9km south-east of Beechworth (C525), then take from the village heart the Mount Stanley Road (left-hand fork) for 500 metres. HUMMING Garden is a rambling and relaxed 1.6-hectare country garden developed during the past 30 years. We have an unusual collection of exotic and native drought-tolerant and frost-hardy plants in many ‘rooms’ with bold colours and unique design ideas. Of interest in late spring are aquilegias, iris, lilies, crinum, roses, clematis, kniphofias, salvias, flowering shrubs, ground covers, climbers and succulents. And there are birds, birds and birds! The garden is home to Beechworth’s only propagating nursery and a diverse selection of plants. For information see http://www.outoftownnursery.com.au. Directions: 11.2km nor’ north west of Beechworth off Beechworth-Chiltern Road (C377). GARDENERS and visitors are encouraged to see the extensive, freely-open gardens surrounding Mayday Hills’ former lunatic asylum in Beechworth for its rare and extraordinary trees, including mature oaks, maples and Victoria’s largest trunk-circumference Araucaria bidwillii. The National Trust (Victoria) in March 2014 listed 62 trees and tree groups at Mayday Hills for their significance to the state and to the North East. 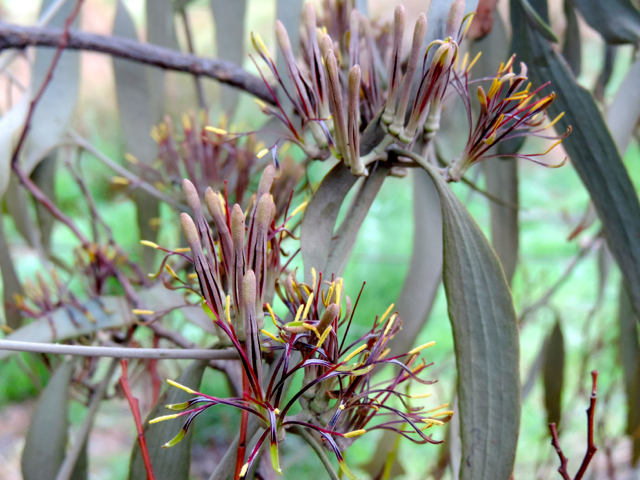 SOME clearing on the garden’s western boundary last week presented an opportunity closely to look at Amyema pendula, one of Australia’s extraordinary species of mistletoe. On the hill above the garden grows a sentinal Eucalyptus microcarpa grey box. It is laden with mistletoe, the plant that mimics its host – so much that on some species, such as Acacia longifolia ssp. longifolia Sydney wattle, it is almost difficult to tell host from guest. Many believe it to be a pest that can kill trees and shrubs, but in a 25-year study underway at Charles Sturt University in nearby Albury ecologist David Watson is setting out to separate myth from mistletoe.